Back in the day when my daughter was growing up, I used to crochet lots of cute toys along with a plethora of accessories for them. Every season, I’d create several characters that resonated with a holiday, special occasion, or simply because they were irresistibly adorable. I love crocheting and I simply cannot sit idle so I always have several projects on the go. I haven’t made anything for Easter for several years, and I wasn’t really intending to until I found a darling little bunny pattern on Etsy. I have several family members that will love this little bunny. In terms of skill level, I’d say this pattern is fairly easy to make as long as you know your abbreviations and of course the stitches. The bunny is made with single crochets and there are a few different stitches for the dress and neck frill and the little bows by her ears. There is only one variation in the pattern and that is with the feet. You have the option to create the feet with or without shoes. I made a bunny with both versions and I like them either way. The shoes are beyond cute. Just add a pretty button for a closure and you’ve got some stylish bunny footwear. There is some stitching involved. You have to sew on the button eyes and stitch your own eyelashes and eyebrows with a thin black yarn. I have a jar of buttons that is filled with almost every color and size of buttons that I’ve removed from old or torn garments that I’ve discarded. They’ve come in handy many times. The bunny is filled with fiberfill; this can be quite expensive. My mom came up with a cheaper option. You can usually purchase cheap pillows at a big box store for around $5 that are stuffed with fiberfill. Sometimes the filling is a light grey, but it works and is far more cost effective. It took me one day to make and put this bunny together. 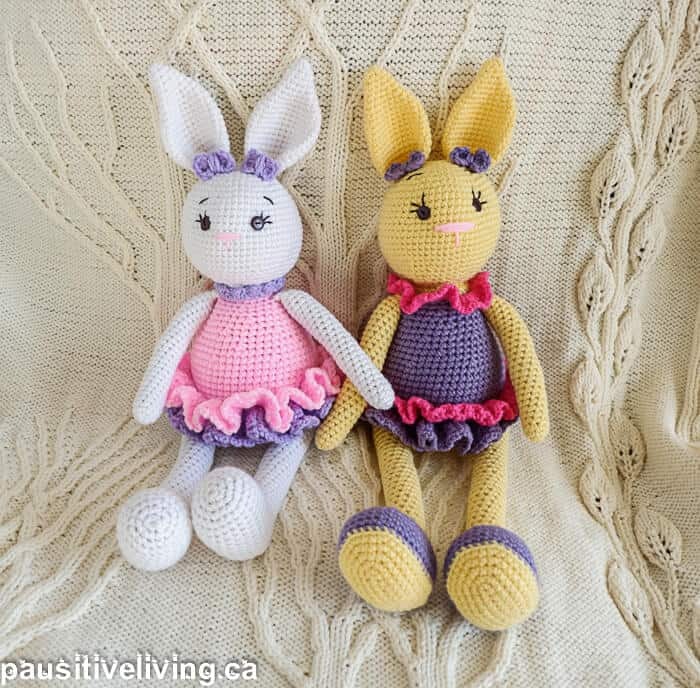 You can make the bunnies in various Easter colors and add your own creative flair. If you’re looking for a fun project for Easter, this little bunny might be just what you’re looking for. The patter is for sale on Etsy. Keep practicing Dawn, you’ll get it. Crocheting is such a rewarding hobby. 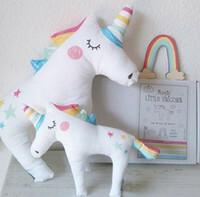 These are the most adorable Easter bunnies…complete with pattern. thank you very much!